I am currently in the process of writing a little travel series all about my travels in Italy. Last week I brought you a post all about Lido de Jesolo, which was where we were staying for the holiday. However, we went on a day trip around the islands and I cannot wait to tell you about both Burano and Murano. So I am putting it out there, these two little places are going to be the new 'it' places where everyone heads for their 'perfect' Instagram shots. A few years ago it was Santorini, and everyone wanted to visit. This year it seems to be Lake Como which I actually visited in 2015, and I did write a post about how beautiful it was at the time. Bloggers love a place called Postiano around the lake, and I have to say it is stunning. 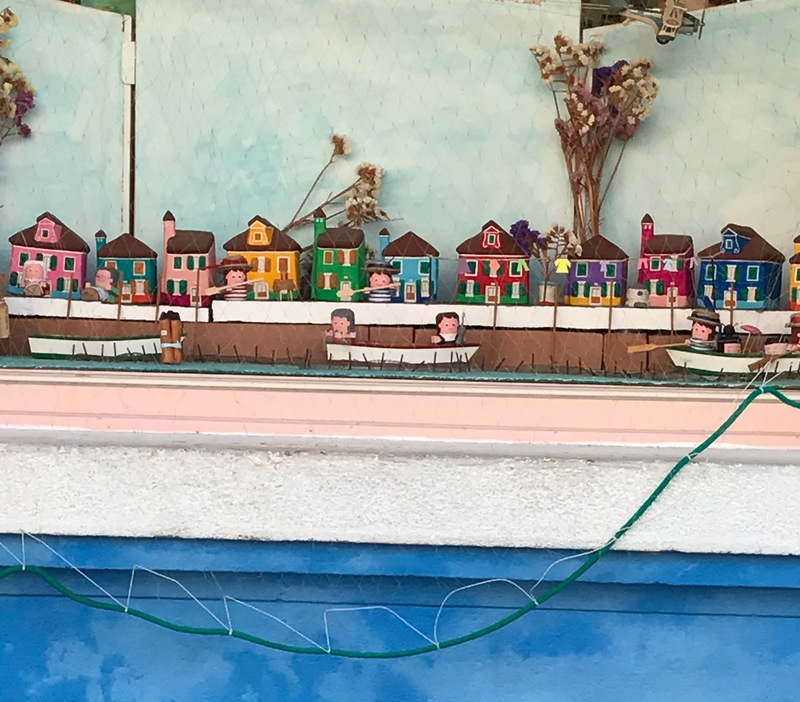 However, I have a feeling that Burano in particularly is going to be the place everyone is heading very soon to get those perfect shots. 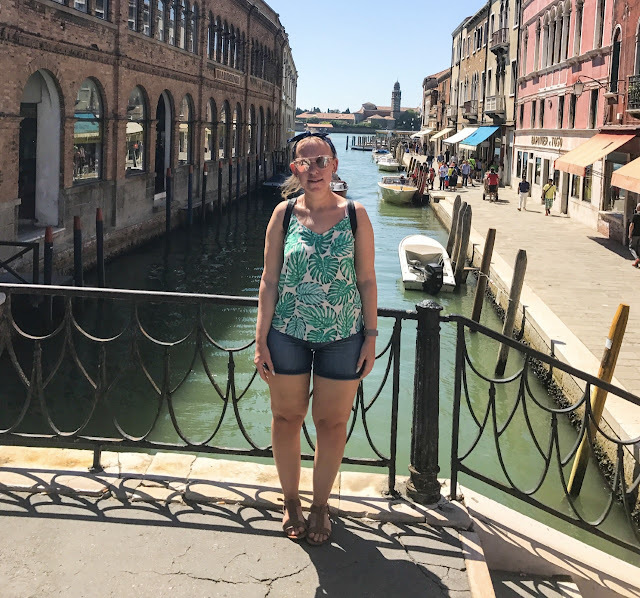 From Lido de Jesolo, we got a 30 minute bus to the port where we then got on a boat which takes you to Venice and the islands. The ticket was €25.50 which you can use to hop on and off the buses and boats all day. You can get on a slow boat or a fast boat, and we unfortunately ended up on the slow boat which literally made about 15 stops. However, it was lovely as we got to see the small islands which the locals live on. The water was very choppy as the boats are not very big, therefore travel sickness tablets were a must. 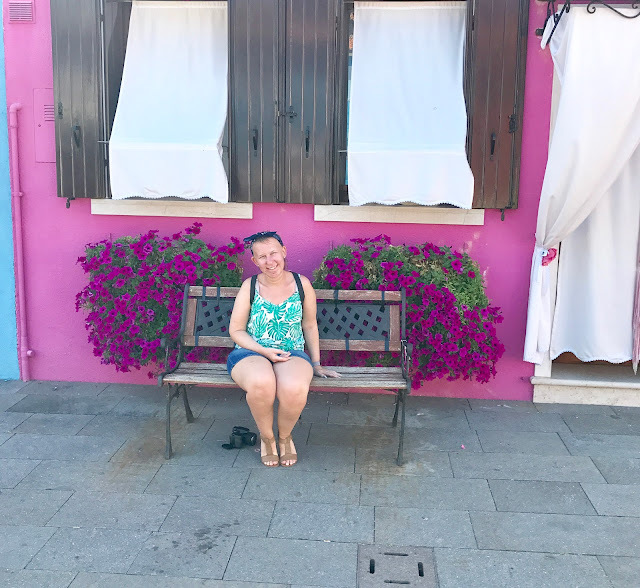 We have visited Burano and Murano back in 2010 when we last stayed in Lido de Jesolo, and I have always remembered it by their vividly vibrant coloured houses. It literally looks like Balamory. We got off the boat at Murano first as this is the smaller of the two islands. You may have heard of Murano before as they are known for their glass. Pandora use Murano glass for their beads. It is very interesting as on our last visit we went around a glass factory, and see you exactly how they make and paint the beads. A lot of the shops sell their own Murano glass jewellery, and I always end up buying something as everything is just so stunning. We had a lovely stroll around the island, stopping to look in all of the little shops, and getting an ice cream. We then hopped back onto the very busy boat, and headed to Burano. This is the bigger of the two, and was more busier. There is one big main street which is so stunning, and if you walk to the very end the views are so beautiful as you are just looking out into the lake. I learnt on my previous trip that the Italian government ensure that all the houses stay painted in a variety of different colours and are kept in good condition, for the fact of the amount of tourism which it brings. I have to say I would very enjoy living on this little island, as I had a permanent smile on my face whilst walking round. We stopped for some lunch at a little restaurant and had a great table overlooking the water and the shops and houses. As always, the Italians are welcoming and always so upbeat. I had a pasta dish (of course! ), and it was delicious. Even though we were sat in such a picturesque spot, the prices were no higher than usual. I kept spying a little walk through right next to the restaurant, and I kept having a sneak peek. The restaurant owner told us to have a little wander through as it so tranquil. Obviously, there was still multicoloured houses, but it was definitely where those who don't want to live in the hustle and bustle live. It was a big quarter and there was one bright pink house, which you can see from my pictures had a bench outside and I started a bit of a trend by taking the plunge and getting a picture, and then a few other tourists followed in tow. We spent a good few hours wandering around, taking lots of photos and buying lots of touristy souvenirs. 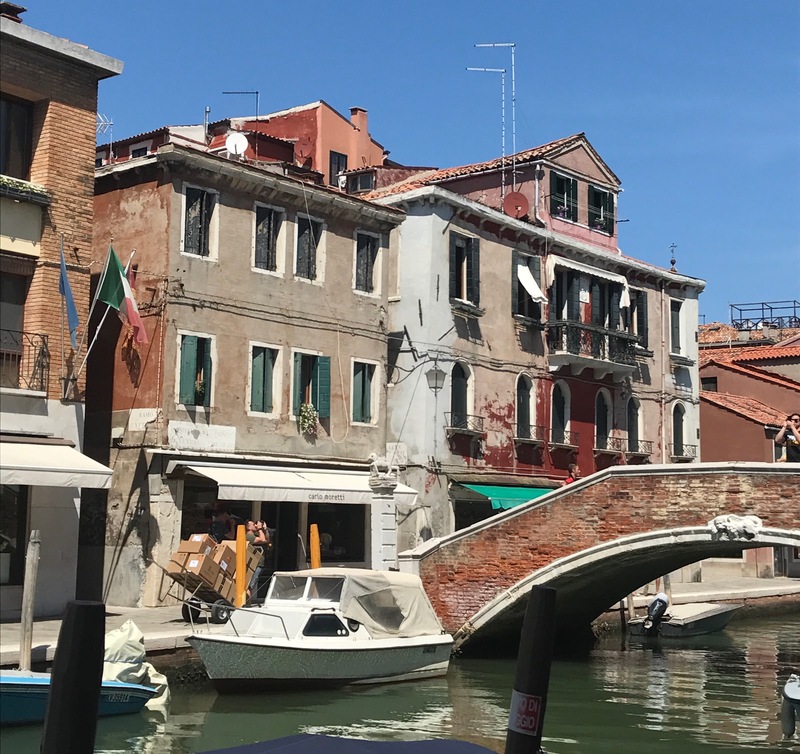 If you are staying within or near the vicinity of Venice then definitely take a little trip to Murano and Burano and I promise you won't be disappointed. I also have my Venice travel post going up next week.